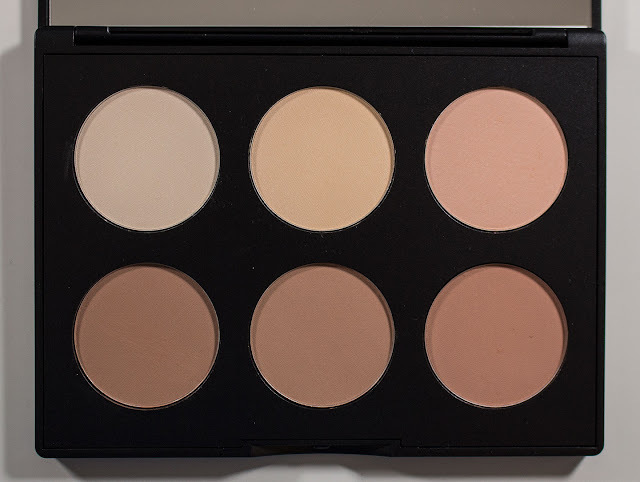 MAC Studio Fix Sculpt and Shape Contour Palette in Light/Medium. The MAC Studio Fix Sculpt and Shape Contour Palette retails for $40US and $48CAN for 25.2 g / 0.88 oz of product. MAC Studio Fix Sculpt and Shape Contour Palette in Light/Medium box art top. 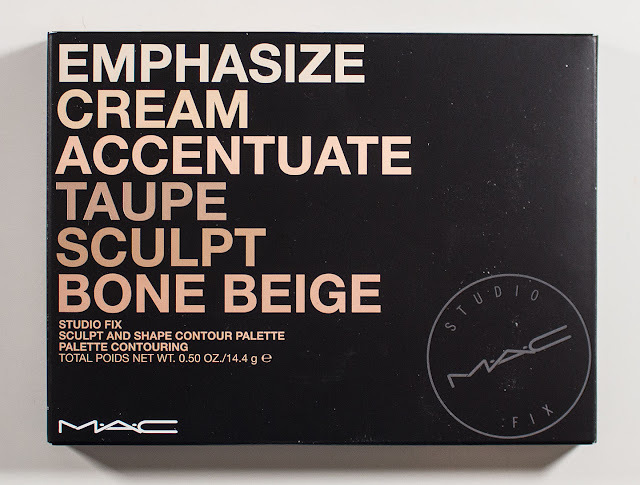 MAC Studio Fix Sculpt and Shape Contour Palette in Light/Medium box art bottom. MAC Studio Fix Sculpt and Shape Contour Palette in Light/Medium box art spine. 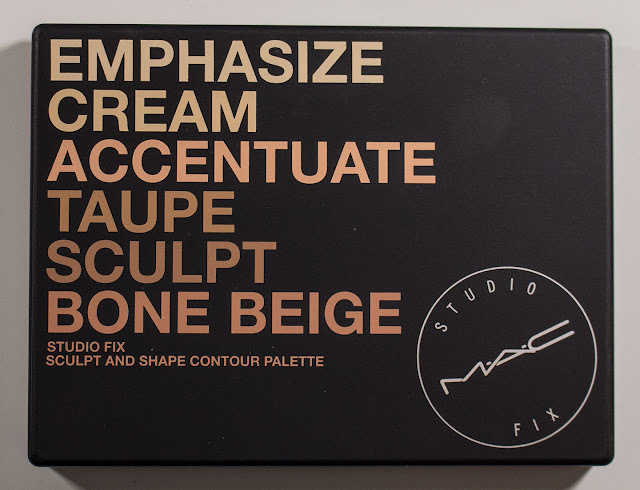 MAC Studio Fix Sculpt and Shape Contour Palette in Light/Medium box art side. MAC Studio Fix Sculpt and Shape Contour Palette in Light/Medium in Emphasize, Cream, Accentuate, Taupe, Sculpt, & Bone Beige. Water, Cyclopentasiloxane, Peg-10 Dimethicone, Butylene Glycol, Trimethylsiloxysilicate, Dimethicone, Magnesium Sulfate, Laminaria Saccharina Extract, Algae Extract, Tocopheryl Acetate, Sodium Hyaluronate, Tocopherol, Lecithin, Hydrogenated Lecithin, Xanthan Gum, Sorbitan Sesquioleate, Methoxy Amodimethicone/Silsesquioxane Copolymer, Laureth-7, Dipropylene Glycol, Dimethicone/PEG-10/15 Crosspolymer, Dimethicone/PEG-10 Crosspolymer, PEG/PPG-18/18 Dimethicone, Disteardimonium Hectorite, Silica, Dimethicone Crosspolymer, Triethoxycaprylylsilane, Propylene Carbonate, Pentaerythrityl Tetra-Di-T-Butyl Hydroxyhydrocinnamate, Sorbic Acid, Chloroxylenol, Phenoxyethanol. May Contain (+/-): Titanium Dioxide (Ci 77891), Iron Oxides (Ci 77491, Ci 77492, Ci 77499), Chromium Oxide Greens (Ci 77288). The base formula of the matte contour shades is powdery, smooth and buttery to apply to the skin and diffuse out. I appreciate that it doesn't catch on skin texture either as I have Keratosis Pilaris that does flare up along the back of my jawline and under my chin that can be noticeable while applying my contour with drier powders when buffing it out. The satin highlighter shades is a softer texture to work with while still giving off a subtle glow on the skin. Very smooth to work with slightly more buttery in texture that does not emphasize pores at all. I'm also a super fan of satin formulas for blushes and the texture work well together. Emphasize is an off white with a satin finish. Cream is a light cream with a yellow undertone and a satin finish. Accentuate is a pale peachy beige with a satin finish. Taupe is a warm muted beige-brown with a matte finish. Sculpt is a soft taupe with a matte finish. Bone Beige is a warm rosy brown with a matte finish. 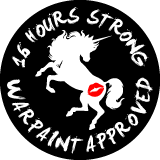 Wear: Lasted 14+ hours on bare skin without a need for touching up and lasted way longer over foundation. 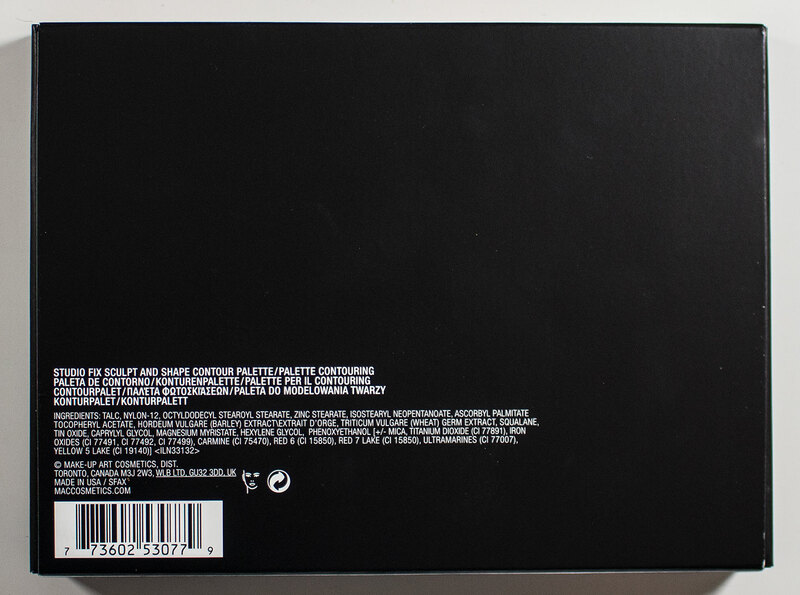 Packaging: This is a plastic palette with a snap closure and a full mirror in the lid. Daylight swatches: Emphasize, Cream, & Accentuate. Applied heavy and sheered out. 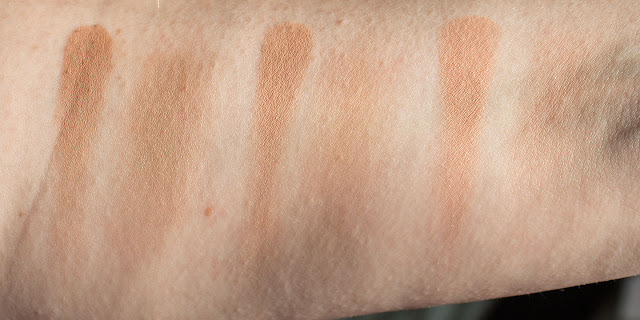 Flash swatches: Emphasize, Cream, & Accentuate. Applied heavy and sheered out. Daylight swatches: Taupe, Sculpt, & Bone Beige. Applied heavy and sheered out. 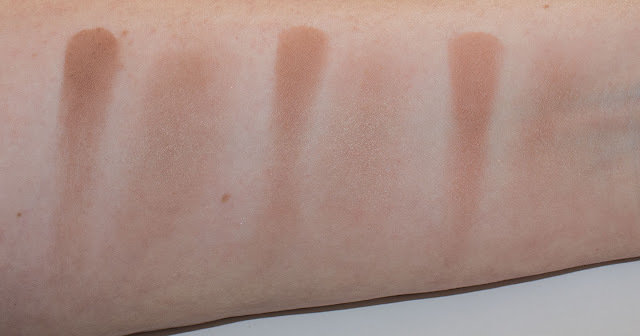 Flash swatches: Taupe, Sculpt, & Bone Beige. Applied heavy and sheered out. I found this to be the most flattering shade in highlighter and contour for PALE to light-medium skins tones. I can't imagine this palette working for true medium skin tones, and you might need a mix of the Light/Medium and Medium Dark/Dark to work for you. The actually need a Dark to Deep palette in the future. But on to the Light/Medium shade, I found them much more human tone compared to most contour palette that is going for higher contrast. 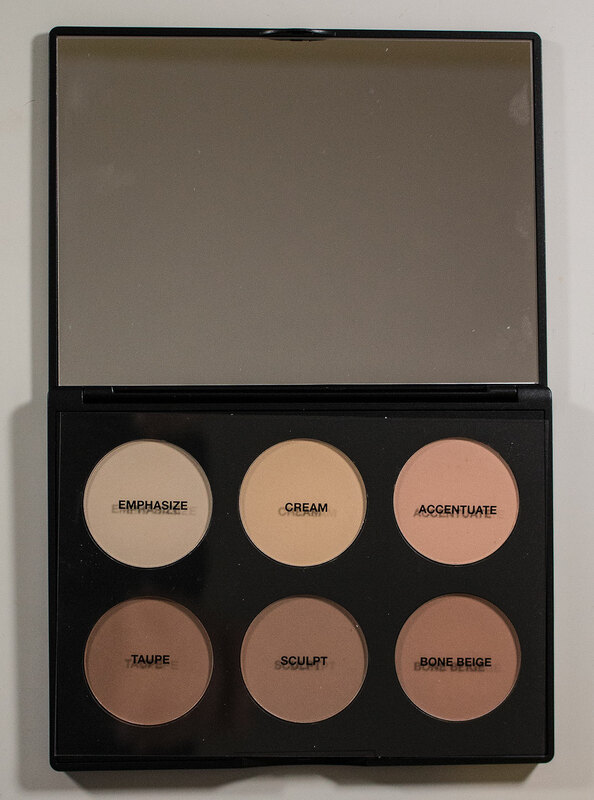 I LOVE this one, and it's definitely worth checking it out in person if you felt like the harsher shade contour palette just didn't really work for you. If your pale like me Accentuate and Bone Beige work like bronzer shades so don't be scared for this palette.